In recent years Adelaide has seen a unicorn, a kaleidoscope, an H.R. Pufnstuf knock-off and a bird-hatching egg man-person-whatsit-thing. But in 2018, prepare to welcome the era of the balloon animal. The 2018 Fringe Poster designed by Jacqueline Daniel. 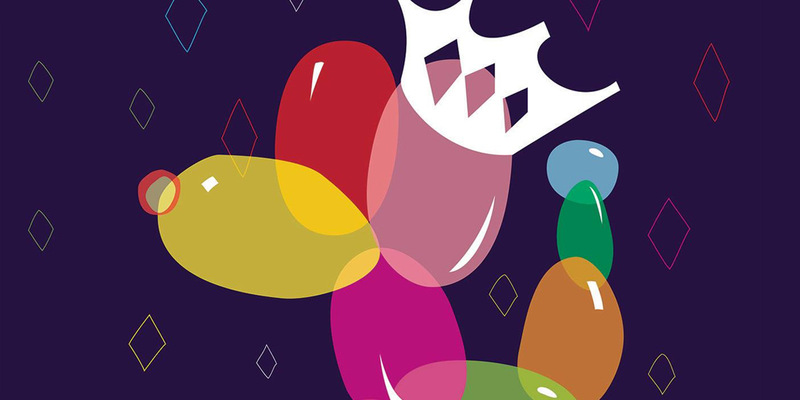 This year’s bright and ‘bubbly’ Fringe Poster Competition winner features a carnival of colours, canines, crowns and crudely-drawn quadrilaterals. The curious concept is the brainchild of Sydney-based Graphic Designer Jacqueline Daniel, who took inspiration from the Chinese Horoscope’s ‘Year of the Dog’. The opening of next years Adelaide Fringe neatly coincides with the 2018 Chinese New Years festivities. As always, the selection of the poster has divided the creative community, as well as the general public. To say there has been a ‘mixed reaction’ on social media is being gentle. There have been concerns regarding the promotion and celebration of environmentally hazardous balloons, while the idea has also been likened to the ‘Balloon Dog’ sculpture by artist Jeff Koons. As has been stated numerous times before, ‘art is in the eye of the beholder’, so we’ll leave judgment to the masses. However, we will be keeping an eye on exactly how the collateral is branded, given the bevvy of different colours and shapes on offer from this years poster. 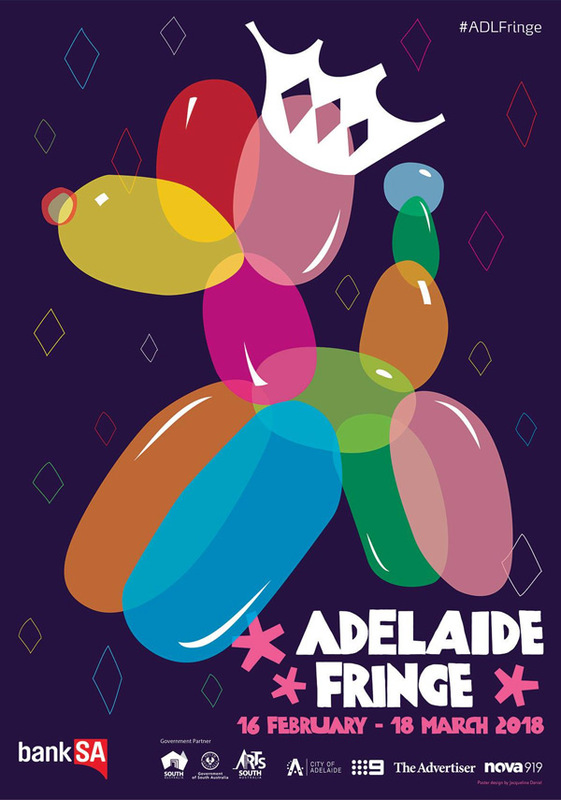 The Adelaide Fringe Festival kicks off February 16 next year and runs until March 18.